Hello, everyone! I have a quick new pattern for you guys. 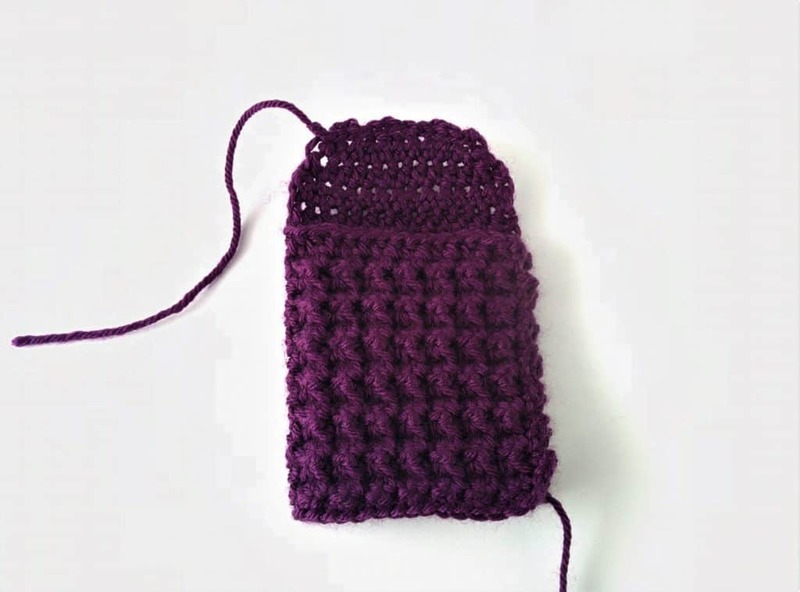 I’ve been playing around with some new stitches from my crochet dictionary book, and one of the stitches I’ve been loving is the trinity stitch. It’s simple, textured and so pretty. 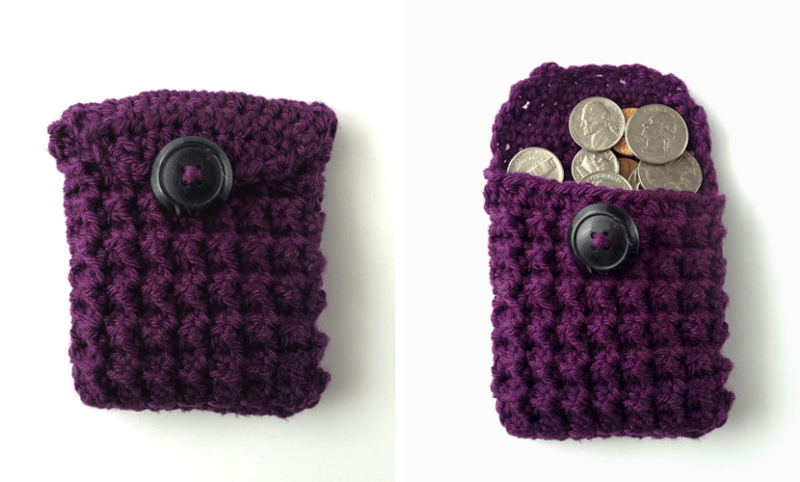 This week, I used it to make myself a little coin purse that’s helped clean up my bag. No more loose change jingling around and falling out any time I take something out of my purse lol. 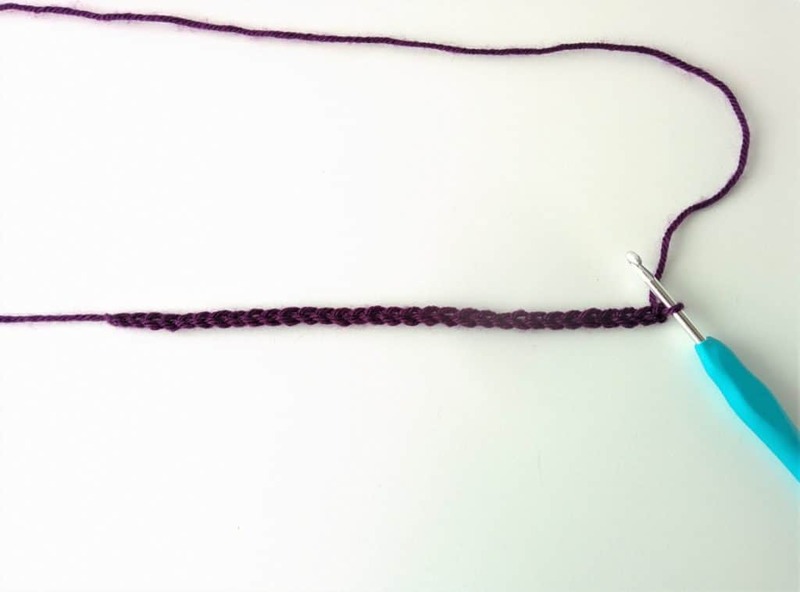 I explained the stitch here, but if you want to see the full tutorial post with a video, be sure to check out the link below. It’s really easy to make so let’s get started! 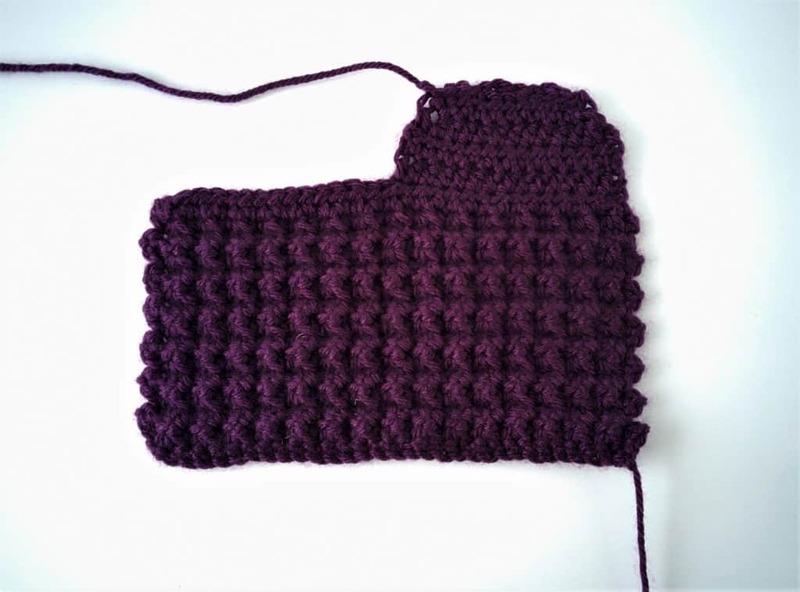 I’ve moved the Trinity Stitch Tutorial to its own post here! I made this simple coin purse because it was an easy way to practice the stitch with worrying about shaping or decreasing or anything, and because I needed a coin purse 🙂 It’s really made my purse more organized and I never have to dig around at the bottom of it for change anymore; it’s always readily accessible in its cute little pouch. Also, when I pull this out of my bag, people comment on how handy it is, so I get a chance to tell them that I made it/about the blog which is always a plus! 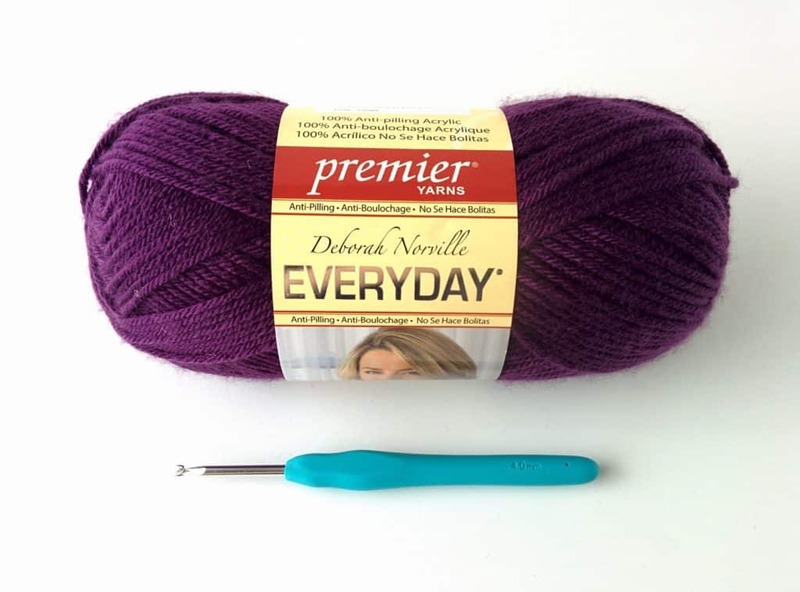 For a full list of all my knitting and crochet tools, check out my Tools page! 1. Start with a chain 32. 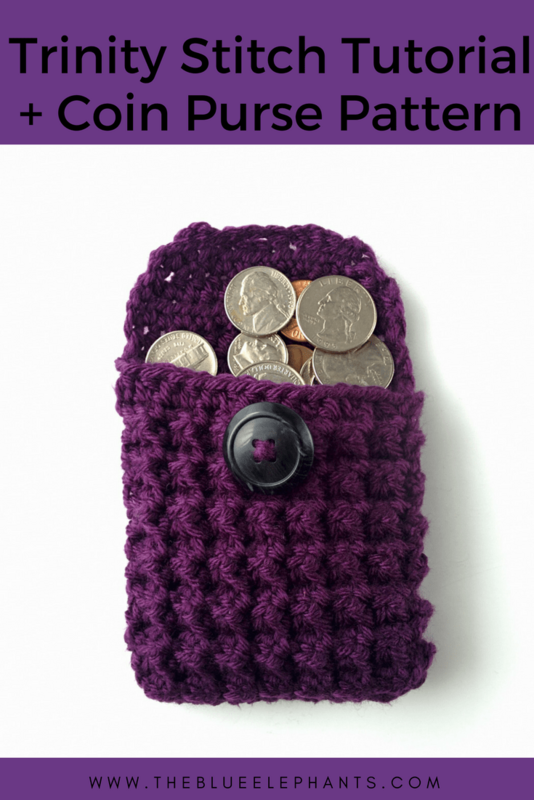 If you’d like it to be a wider coin purse, add more chains. It should be an even number, though. 2. SC across for 1 row, working into the back of the chain. Working into the bump gives you a cleaner edge. 3. Chain 1, turn. SC into the first space. *SC3tog, always starting in the last space you worked* down the row. SC into the last space. 4-14. Repeat row 3 for another 11 rows. You can make this taller if you like. 15. Chain 2, turn and HDC along the row. 16. Chain 2, turn. HDC 15. 17. Chain 2, turn. Decrease once, HDC until the last 2 spaces, decrease (13). 18. Chain 2, turn. Decrease once, HDC until the last 2 spaces, decrease (11). 19. Chain 2, turn. HDC 4, chain 3, skip 3 spaces, HDC 4 (9). Bind off. 20. 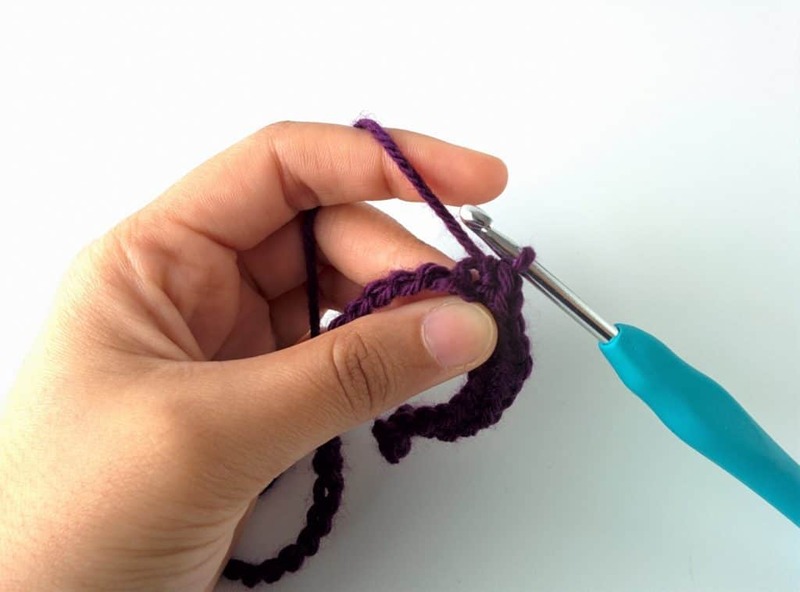 Now, just fold the purse in half and use a spare length of yarn and the tapestry needle to seam the bottom and side closed. Weave in any loose ends. 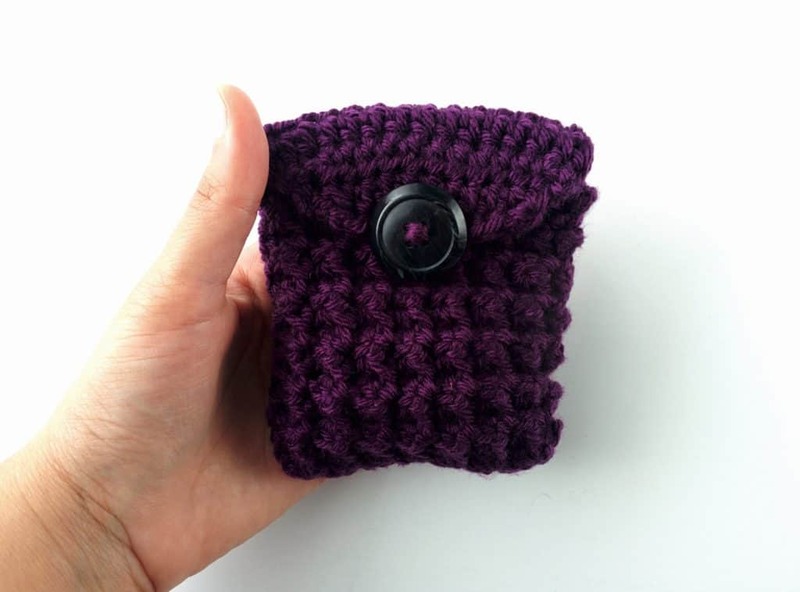 Sew a button onto the front of the purse to finish it off and you’re done! 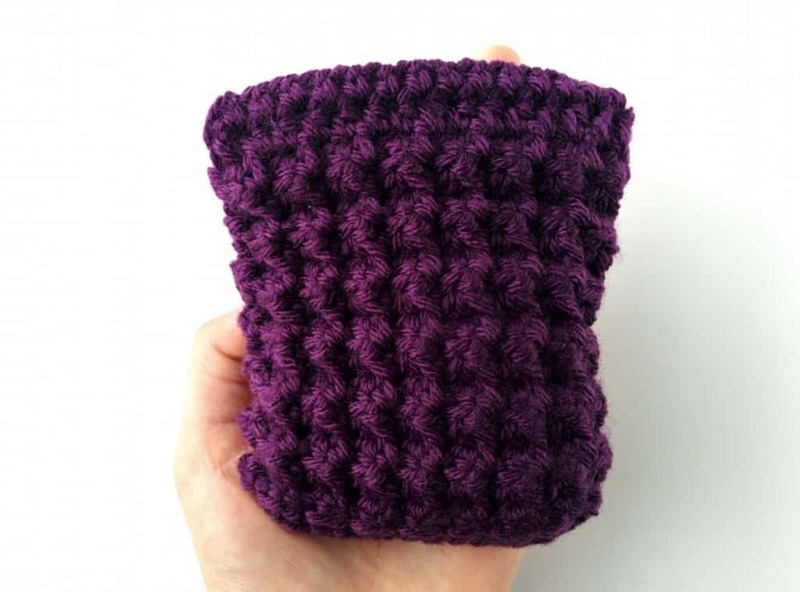 I love this little trinity stitch pouch, and it’s the perfect size for my purse. I have a ton of change that I usually keep in the inside zipper pocket of my purse, but then there isn’t much room for other things. So, I wanted my change separate and somewhere I can easily grap and get my coins from. 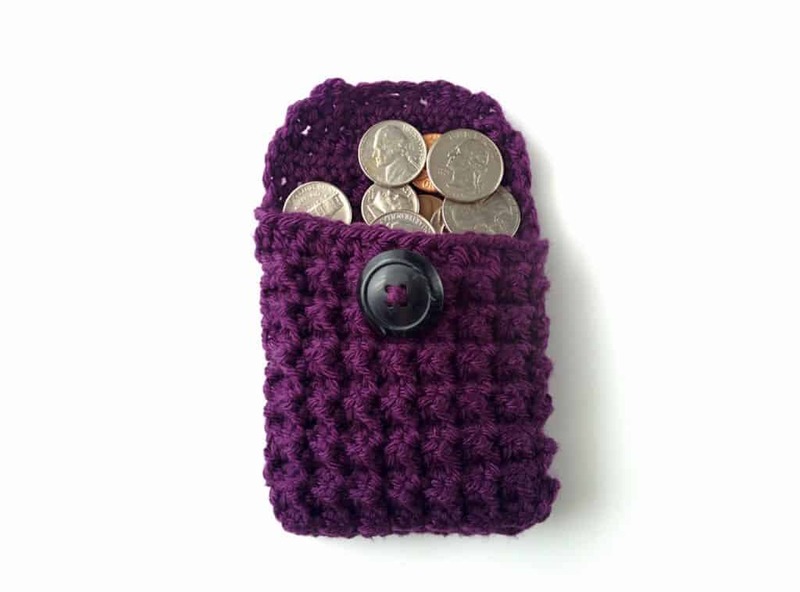 This little coin purse was just what I needed. And if you want to make yours larger or smaller, it’s so easy to do! You could even line it with fabric if you wanted to. Thanks so much for reading! I would love to know what you guys think of this pattern, so leave comments below. 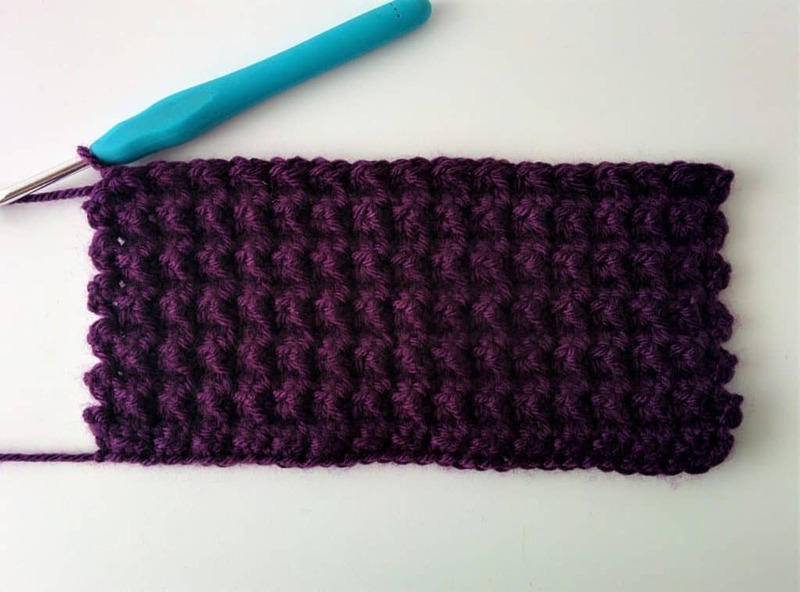 If you need help with the stitch, I have another post detailing how to work the trinity stitch here. If you liked this and want to see more, like special freebies and weekly newsletters, join the email list! Just fill out the box below to subscribe and I will see you soon. 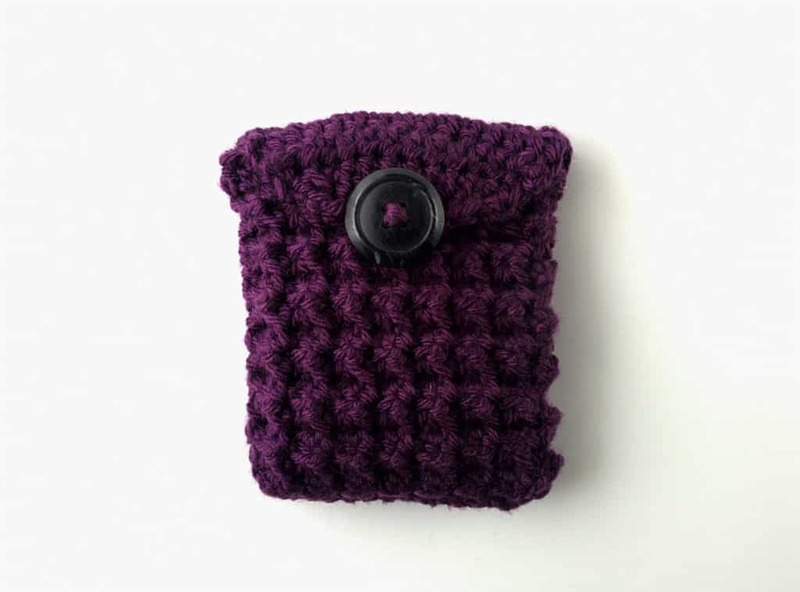 Related: The Beginner’s Guide to Crochet FREE ebook!